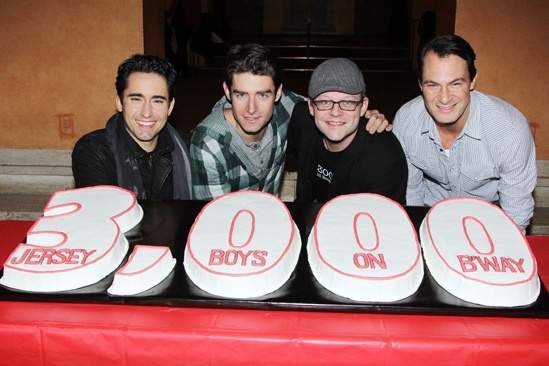 On Thursday, February 7, 2013, Broadway company of Jersey Boys celebrated another amazing milestone of the show’s 3,000th Broadway performance. 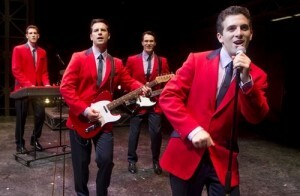 Check Out Broadway.com’s Jersey Boys Show Photos & New Video Clips! Ryan Jesse as Bob Gaudio, Dominic Nolfi as Tommy DeVito, Matt Bogart as Nick Massi and Jarrod Spector as Frankie Valli in Broadway’s Jersey Boys. Visit Broadway.com for fabulous Jersey Boys Broadway show photos and Jersey Boys Broadway video clips!